It’s camping season and you know what that means folks… It’s s’more time! Call us crazy, but there are few things more delicious than a gooey, chocolaty s’more after a full day of hiking and feasting on trail mix. So, go ahead— jump into your flannel and gather ‘round the campfire to enjoy a delicious treat with your friends and family. We guarantee there are few things better than this! Here are some tips for making the ideal s’more. YUM! Find a long stick to roast the marshmallow. This will help you maneuver the flames and avoid your mallow from catching on fire. Remember: Placement is key so hold it a couple feet over a bed of kindling or logs and avoid those flames. Unless, of course, you prefer yours crispy/burnt; in which case, dip that baby in the fire and let it burn. Rotate often. Remember to turn the marshmallow every 30 seconds to achieve that perfect, golden-brown status. Use a melting block. And by this, we mean a 2-4 inch piece of wood placed at the edge of the fire. This way, you can be sure that both your chocolate and graham cracker get toasty while your mallow does the same. No need to go fancy on the ingredients, folks. Good ol’ chocolate bars, marshmallows and graham crackers always get the job done. 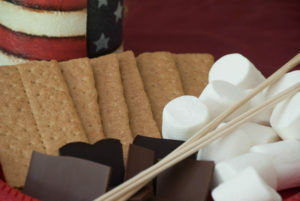 As you probably noticed, we’re rather traditional when it comes to s’mores.. the recipe does date back to the 1927 Girls Scout Handbook, after all! 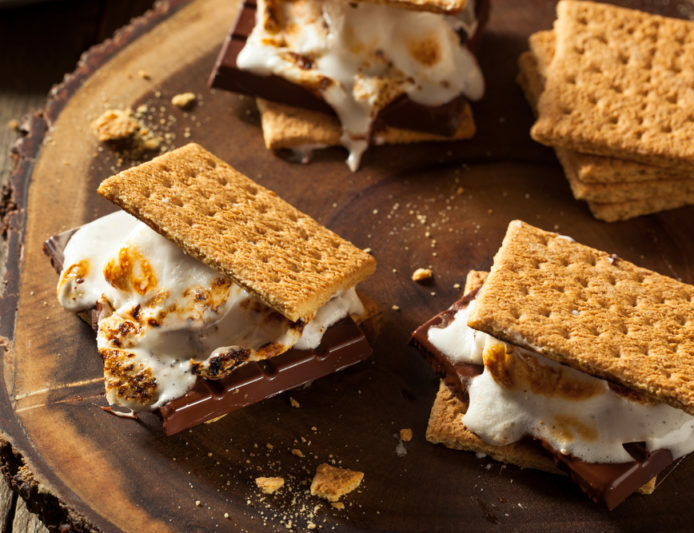 If you’re curious about trying other s’more-inspired recipes though, look no further than this list. You probably won’t be surprised to learn that there is no shortage of ‘em out there! Epic s’mores await. Bon appetit, campers.